Loving Moore: CRIMINAL MINDS Spin-Off Episode Sucked! 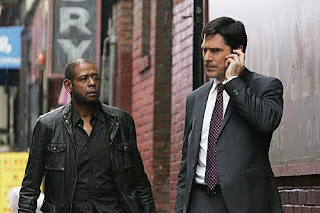 Last night (April 7) was the CRIMINAL MINDS episode that introduced the new spin-off series. In an episode called "The Fight," a second team of BAU profilers was featured, led by Sam Cooper (Forest Whitaker). While Whitaker is known to be a fine actor, he does not have the presence or charisma to be the lead actor in a series. The episode felt hurried and the plot was hard to follow. The lame writing, combined with little character development, made the program very disappointing. Our beloved regular cast was short-changed and had very little screen time. The new cast showed absolutely no chemistry among the actors. The entire hour had me longing for a regular episode of CRIMINAL MINDS, and vowing not to waste another hour of my time on this inferior version. Thumbs down, CBS!